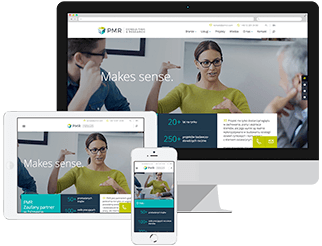 An advertising agency asked PMR to conduct a study into their client’s brand image. The client was a company operating in the construction sector. The survey’s main objective was to identify the level of consumer satisfaction with services the company provides, and to analyze brand image and perception after a rebranding. In order to achieve all this, a quantitative approach was applied – we conducted 50 CAWI interviews with companies and public institutions in Poland. The questionnaire, which was based on our unique PMR Brand Image methodology, included questions on brand awareness and levels of satisfaction and loyalty among the company’s clients. From the company’s perspective, a particularly important aspect of the survey was finding out about brand perception after a rebranding, and comparing the brand’s image with those of competing brands. During the course of the study we were able to identify aspects which are crucial from the point of view of an orderer, and which will allow the company to tailor their offer to their clients’ needs and expectations. Thanks to the insights PMR provided, the client will be able to build an optimal marketing strategy for the coming years.